And Will Clean It To Perfection ! Our Rug Cleaning Clinic is Exceptional. Collect and Return Service Available in all areas, just ring or email for a quote. 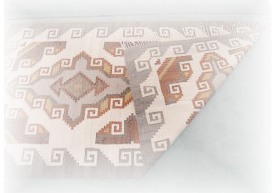 All types of new or Oriental rugs and mats can be cleaned deep down. Whether pure wool, synthetic or silk. 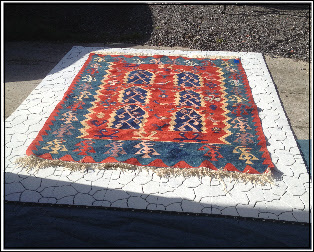 We use high powered extraction cleaning and rotary dry cleaning in a fully equipped workshop.We have the facilities for a full immersion type clean for turkish kilims and flat woven rugs & can turbo dry them for a very quick turnaround. 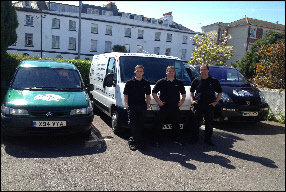 Our service includes door-to-door collect and delivery. 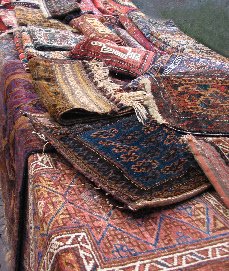 Rugs and Mats are cleaned, deodorized and turbo-dried before being scotch-guarded for future protection. 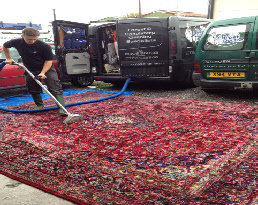 Our fully equipped workshop and cleaning unit means we can cope even with very large oriental rugs which can be difficult to clean in situ and require specialised drying machines to dry them fast enough to preserve the dyes and structure. Just ask if you want details of the process we will use to clean your particular rug as we realise that most rugs are a treasured item of our customers. 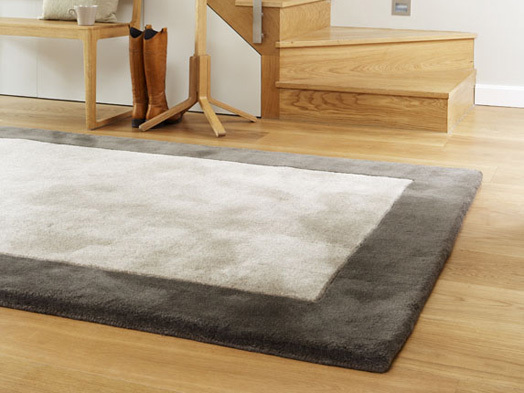 Rug cleaning prices from £30 including door-to-door pickup and delivery (typical price for 5×3 synthetic rug). Our normal rug cleaning turnaround is 1 week, usually collecting on a Friday and delivering back to you all fully washed and dried on the next Friday, or alternatively on a day convenient to you.